Louis W. Sullivan is a medical researcher, educator, and adviser to the federal government. He was founding dean and director of the medical education program at Morehouse College and the first dean and president of the Morehouse School of Medicine, where he served for more than twenty years. He took leave from Morehouse from 1989 to 1993 to accept a presidential cabinet appointment as secretary of the U.S. Department of Health and Human Services. Dr. Sullivan has served as director of hematology, the field of his major research work, at Boston University Medical Center. He founded the Boston University Hematology Service at Boston City Hospital and was project director of the Boston Sickle Cell Center. In 2005, to improve healthcare for minorities and increase the racial and ethnic diversity of health professionals in the United States, Dr. Sullivan organized the Sullivan Alliance to Transform the Health Professions. The nonprofit organization has expanded its operations nationally and internationally since 2011. Dr. Sullivan has received numerous honors and awards and has been recognized with a mastership in the American College of Physicians. 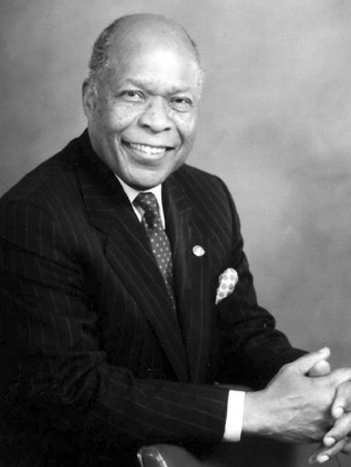 Now president emeritus of Morehouse School of Medicine, he has been a member of the Institute of Medicine (as of July 1, 2015, the National Academy of Medicine) since 1975.